Is the United States flashing a friendlier face or is it a ploy at unsettling China which sees Nepal as the most vulnerable among its 14 neighbors? There should be little doubt now. The die is cast. Big foreign powers have been registered a marked spurt in their strategic interests in Nepal, with a potential for direct and indirect clashes as a result. Recent overt events and covert moves in the Nepal-US relations, including Washington’s suggestion to Nepal for being a part of Indo-Pacific alliance and Western approach to North Korea has created a stir in the overly reactive and perennially speculative Kathmandu grapevine. Clearly in coordination with Washington, Japanese Foreign Minister Taro Kono last week stressed on the US initiative while also cautioning against hasty decisions on the China-led Belt and Road Initiative (BRI). Shortly after, the visiting US Indo-Pacific Command, Admiral Philip S Davidson, asked the Nepal government to ensure adequate measures for American arms import to Nepal. That New Delhi does not fuss about “1950 Treaty” spirit on import of arms from third country is another indication of an understanding—trilateral, also with China in the scene—in this matter. Slowly, surely and clearly things are getting to be put together. Within the next decade, the global power equation will be dramatically different and effectively negative to international forces that have defined, prescribed and set most global agendas in the past 100 years since the World War I and after. 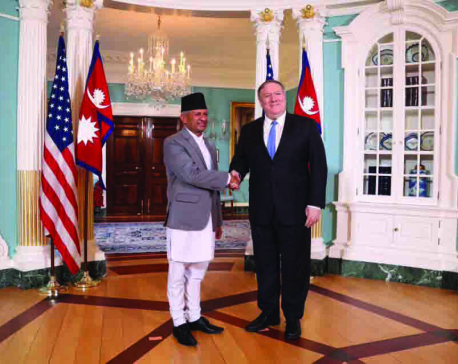 Much was made about Foreign Minister Pradeep Kumar Gyawali’s official meeting in Washington with Secretary of State Michael R Pompeo on December 18, hailed by Kathmandu as “the first official” visit in 17 years. This contrasts sharply with regular exchange of high-level bilateral visits between the two capitals in the late 1950s through the subsequent years up to the 1980s, notably in the Panchayat era. The question concerns why diplomacy between the two countries sees such low profile in the post-Panchayat era. Some foreign policy pundits predict the emergence of a new dimension in Nepal-US ties. Nothing new will happen though. Is the United States flashing a friendlier face or is it a ploy at unsettling China which sees Nepal as the most vulnerable among its 14 neighbors? After a thorough smashing of the US intelligence network in China three years ago, Washington is desperate to retrieve some of the lost ground it had developed through years of planning and execution. Beijing’s deepest of penetration through its counter-intelligence agencies enabled Chinese President Xi Jinping’s one-party state to break the backbone of Washington’s intelligence presence in the communist country. Going by the opinions of those who count in the American intelligentsia as well as write-ups in major news outlets, leaders in Washington’s corridors of power had not expected China to emerge so strong and bold so quickly both in its foreign affairs thrust and international economic clout. In its frantic moves to check China, it now decides to give greater attention to Nepal. China sees this Himalayan state as the most vulnerable among its 14 neighbors to foreign agencies when it comes to Western agencies operating with gay abandon. Former Secretary of State Henry Kissinger had briefed US President Donald Trump shortly after moving into the White House in early 2016, which included a brief on China’s fast expanding global influence that was bound to get firmly entrenched for the next several decades. For, China has the human resources, military might, the required technology and a staggering stash of cash that has become the source of envy and rancor to its rivals. Trump took time to learn the hard way from Kissinger’s expertise in his quest for browbeating Beijing on trade issue. When the strategy did not work, he took to a slow and subtle reverse gear through a well-publicized phone-call with his Chinese counterpart, aimed at putting a brave face for admitting a step back. Hemmed in by a record-phalanx of neighboring states that embrace a battery of inherent certainties and uncertainties, China is under geographical compulsion to accord its neighborhood an extremely high priority. Beijing’s task gets all the more staggering by the immense efforts by Western-funded INGOs, carrying deep-seated political agendas, to undermine its rise in the global scene. Beijing’s approach to Nepal is based on the premise proven by developments in the past 30 years that this nation is prone to being its most vulnerable neighbor to foreign machinations for inciting unrest in Tibet and other parts of China, with the related domino effects. And Washington seems to have come around to concluding that such prospect does indeed leave it an opening for installing an upgraded listening post in Nepal for monitoring events in China and encouraging activities that harass and embarrass the formidable Western rival whose remarkable rise is considered a threat to mainstream West’s ideological values and, more importantly, its dominant role in the global economy. Still overwhelmingly India-locked in terms of access to overseas trade, Nepal’s foray into any Western orbit risks horrendous results suffered by Lebanon in the 1970s that was at the cross-roads of internal conflicts fueled by a local front trained and funded by foreign forces. 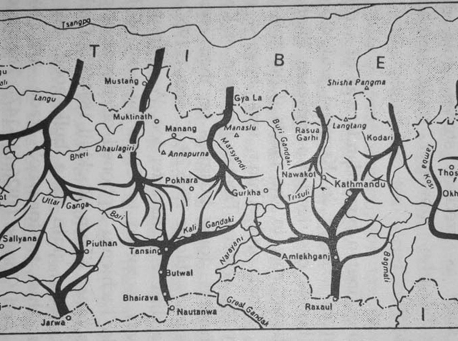 In Nepal’s first but brief stint with multiparty practice back in 1959-60, the main opposition Gorkha Parishad’s Bharat Shumsher raised the specter of a Chinese invasion as its main political gambit while Nepali communists warned of threat to Nepal’s independence and sovereignty from India. King Mahendra, meanwhile, paid a state visit to Britain after the 1960 coup and was invited twice to a state visit to the US, including the one after banning political parties. In the first visit, he addressed a joint session of the US Congress, an honor not accorded to any other Nepali leader in the subsequent 60 years. Wisdom always flows from political hierarchy in Nepal. Important posts have in the recent decades turned into money-making privilege-seeking enterprises showered on those with deep pockets to purchase an ambassadorial posting or on loyalists, basically sycophants in close proximity to the bosses in party hierarchy. The appointment does not focus on a keen and quick learner with the ability to pick the trends and information floating in the air in addition to having a deep understanding of local history, culture, sensitivities and strategy vis-à-vis the counterpart features in the envoy’s own country. If some appointees rarely happen to meet some of the basic criteria, it may be considered as merely a coincidence. Foreign Minister Pradeep Gyawali goes around laying bare to his confidants his despair over “I am not in the know of some of the important planning and decisions being made in my ministry’s name”. He blames an unspecified “flirt” for this. In turn, Maoists in Prime Minister KP Oli’s Nepal Communist Party (NCP) point a needle of suspicion to Gyawali for “rubbing his shoulders with the Americans” at the time of consultations for drafting the 2015 Constitution. Given the damage Trump is keen on inflicting on China in a search for competitive advantage that could stretch the US advantage over the communist superpower, Washington can be expected to put its antenna extra up vis-à-vis Beijing. It is, therefore, high time that Nepal government gave hard and fast thought to the battle lines being drawn between the European Union-United States machinations and the brisk Sino-Russian rapport of unprecedented bilateral strength in modern times. The Indo-Pacific alliance and Sino-Indian interests can clash dangerously with the emerging equations not necessarily congenial for the West. New Delhi cannot afford to go against Beijing. Keeping track of the shifting tide in international relationships and the lines for power equations getting drawn anew, New Delhi stands hopeful of a return of rapport with Russia reminiscent of the 1970s and 1980s, bound by the 20-year Indo-Soviet Treaty of Peace, Friendship and Cooperation, signed on the eve of the 1971 India’s war with Pakistan over what was then East Pakistan. Indian Prime Minister Narendra Modi’s hope of strong ties with the US and, with it, Europe’s key powers turned a damp squib when a 2016 bill seeking special status for India failed to pass the Republican Party-majority Senate. The bill’s passage would have recognized India as a “major” US global strategic and defense partner qualified for Washington’s support for defense-related trade and technology transfer on par with America’s closest allies. 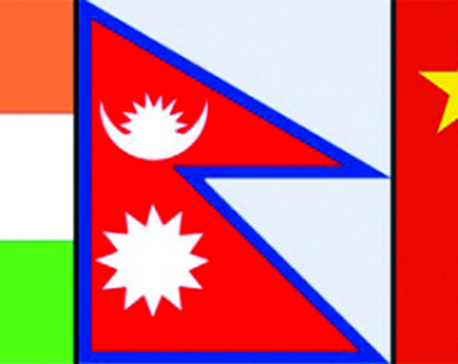 Nepal’s two powerful immediate neighbors are quick to close ranks when it suits them even if it might mean nibbling at the interests of a common neighbor like Nepal that is faced with multifarious constraints but does them no harm. Washington’s latest moves are no more than testing the Bagmati waters ahead of unrolling its more serious plans for the long road ahead.